Robots and robot systems have become commonplace in many industries. 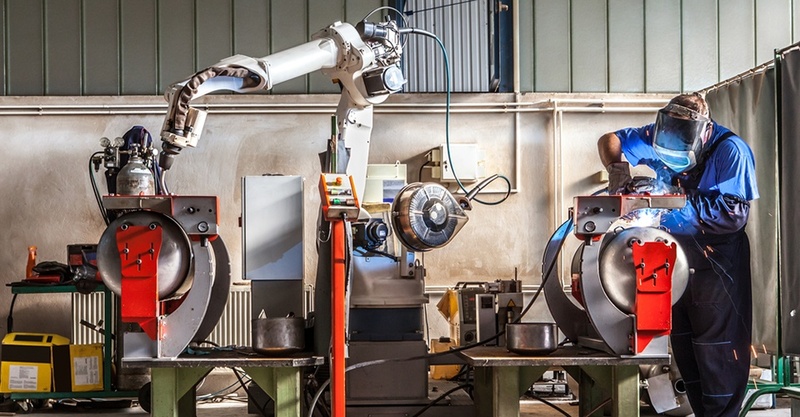 From massive mechanical arms working on assembly lines to technologically advanced robots that interact with human coworkers, these machines bring unique safety concerns to the workplace. Industrial robot: An automatically controlled, reprogrammable, multipurpose manipulator, programmable in three or more axes, which can be either fixed in place or mobile for use in industrial automation applications such as manufacturing, inspection, packaging and assembly. Professional service robot: A robot that performs commercial tasks outside of industrial automation applications. For example, a robot used in cleaning, delivery, firefighting or surgery. Mobile robot: A robot that can travel under its own control. Collaborative robot: A robot designed for direct interaction with humans. Automating repetitive tasks and doing work that employers need, but have trouble finding job applicants for, are typical uses for robots in the workplace. However, with these leading-edge work solutions comes the need to revisit an organization’s safety program to ensure workers stay safe around this sophisticated equipment. Awareness Devices. Typical awareness devices include chain or rope barriers with supporting stanchions or flashing lights, signs, whistles, and horns. Safeguarding the Teacher. During the teach (programming) mode of operation, the person performing the teaching has control of the robot and associated equipment and should be familiar with the operations to be programmed, system interfacing, and control functions of the robot and other equipment....[A] restricted speed of 250 mm/§ or 10 in/§ should be placed on any part of the robot during training to minimize potential injuries to teaching personnel. Operator Safeguards. When the robot is operating automatically, all safeguarding devices should be activated, and at no time should any part of the operator's body be within the robot's safeguarded area. Maintenance and Repair Personnel. While maintenance and repair is being performed, the robot should be placed in the manual or teach mode, and the maintenance personnel perform their work within the safeguarded area and within the robots restricted envelope. Safety Training. Personnel who program, operate, maintain, or repair robots or robot systems should receive adequate safety training, and they should be able to demonstrate their competence to perform their jobs safely. No matter how technology continues to evolve, keeping workers safe will always be a top priority for any business. If you’re looking for an online training solution for your team, check out Summit Training Source's course offerings delivered through the Encompass EHS management platform. With Encompass, EHS professionals have access to unparalleled, award-winning workplace safety courses, deployment and reporting at their fingertips to provide greater cost savings and flexibility. All delivered through one, mobile-responsive system, and available online and offline to support remote and in-the-field workers.